These were they charms–But all these charms are fled. And his best rices, ignorance of wealth. After viewing and thinking about “FRESH” I have a few thoughts to share. 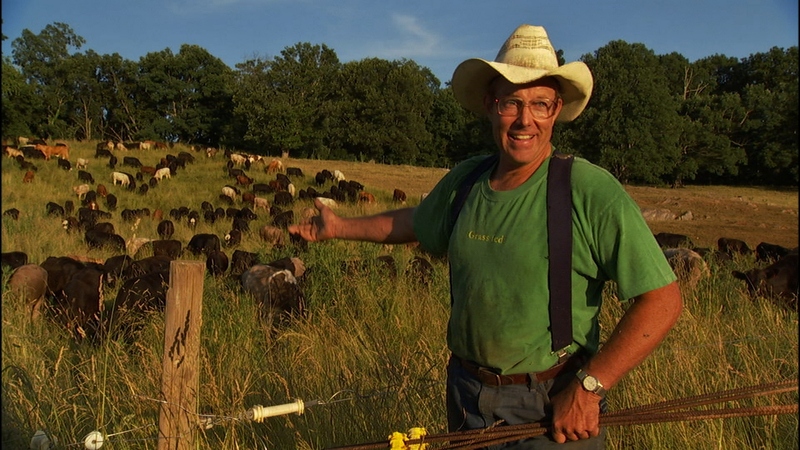 One of the chiefest pleasures of “FRESH” was to hear Joel Salatin; he really is a farmer and a philosophical realist: “the chickenness of the chicken,” and its particular way of being really does matter. I was surprised at how difficult it was for that family Mr. and Mrs. Fox to look at their interviewer…they were utterly ashamed of themselves. I find it a wonder that nobody seems to know about what is going on in these industrialized feed lots and such. A thing of beauty pleases the eye: there is order, harmony and proportion in something noble and fine, and thus pleasing to gaze upon, but the feed lots are not fine and noble and are thus not pleasing to look at. By comparison, Salatin’s family farm is pleasing to behold: there is an order and proportion to things. Salatin, like a philosopher king, orders the landscape and lives of the animals for their good, and the good of society. I am going to try to look around Phoenix for a place to buy good food from local farms. Does anyone know of any good places? Enjoying your blog! God bless. Jess & I have been doing this vegetable co-op (Sercers have too). It’s been wonderful–vegetables which look like they really come from earth, that have unique shape and earthy smells. Of course, with less finished products it forces you to work more for your meals and with frequent failure. But it is worthwhile.